Is it Lyme Disease or Fibromyalgia Syndrome & ME CFS? 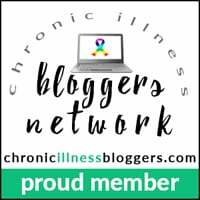 Is it Lyme Disease or Fibromyalgia and ME CFS ? Ever since CFS Unravelled was published, I have been contacted by people diagnosed with Chronic Lyme Disease wondering if they have really have Lyme Disease or Fibromyalgia Syndrome and Chronic Fatigue Syndrome. Lyme disease is an infectious disease caused by at least 3 species of bacteria and usually results from a tick bite, although people are not always aware of the bites. Many but not all people develop a bull’s-eye rash around the bite site. The illness is usually treated with antibiotics, but in some cases people develop chronic Lyme disease, although much of the medical fraternity does not recognise this condition. If that last sentence isn’t enough to spark the interest of people with ME/CFS and Fibromyalgia Syndrome, the list of symptoms will certainly start to sound familiar. And so it is no surprise that they are often diagnosed with ME/CFS and Fibromyalgia, sometimes before their Lyme diagnosis, sometimes after. But listening to stories of people that have recovered and people that haven’t, my view on the subject has strengthened over the years, because I keep hearing the same experiences told in different ways. Because I didn’t want to “open a can of worms”, I have held back in speaking on the subject for some time, despite a wonderful interview I had with Katina Makris, author of Out Of The Woods. But recently I had my own brush with a tick bite. After a day in the bush, I found a tag at the back of my head. Without thinking about it, I had grabbed it when suddenly I felt extreme pain spreading on my head. Sure enough, I had the first tick bite of my life. And whilst normally removing them leaves you with nothing to worry about, I had of course triggered the tick to empty its contents deep into my scalp, causing an immediate and somewhat severe reaction. Now I won’t bore you with the details, but I took appropriate precautions to treat the infection which in the coming weeks spread symptoms across my scalp, down my neck and caused my glands to go into overdrive. But I figured, this must be a signal for me to finally share my views on the subject of Lyme disease, or more poignantly, CHRONIC Lyme Disease! Yes, the illness isn’t easy to diagnose, with many false positives and false negatives (some labs have been reported to have up to 70% error rates), but the bacterial infection is of course absolutely real. And regardless of whether you have the characteristic bull’s eye rash or not, I have no problem believing that many people have Lyme disease and that much of their illness, their symptoms, result from this infection. But here is my point. Is the Lyme disease actually WHY you are sick? “Well, of course”, you might say. And yes, there is no doubt whatsoever that Lyme disease can create terrible symptoms when the infection spreads, especially when it becomes chronic. But WHY is it such a problem? Why does it become CHRONIC in some people? Many people get tick bites, and they don’t get sick. Many people get tick bites, get Lyme disease, and recover quickly. What is REALLY the problem here? Is it that we were infected with Lyme disease, or is it that we are not recovering from it? I would suggest, the real problem is the latter. You see, I hear these stories all the time. Sometimes it’s Lyme disease, sometimes it’s glandular fever, sometimes it’s flu – the list goes on and on. Not only do I hear about many of these infections triggering ME/CFS/Fibro, but I actually believe that these infections often thrive only because ME/CFS/Fibro is being experienced. That is why I inevitably hear of so many people with chronic Lyme that have the same personal histories that we always see with ME/CFS/Fibro. And it is no surprise that we also see the same similar stories of recovery. Katina Makris’ story of recovery is a prime example of this. Don’t get me wrong. I am not saying that Lyme disease is ME/CFS/Fibro. Some people get SEVERE Lyme disease and get SEVERE treatments that work and from which they consequently recover to regain their health. But so often, Lyme disease becomes part of the wider experience of ME/CFS/Fibromyalgia which is why we then need to adopt a holistic approach that encompasses the root cause of ME/CFS/Fibromyalgia, as well as addressing the Lyme infection with treatments that are most relevant. But so many people get a diagnosis of Lyme and feel this relief, that they finally understand WHY they are sick and they just need to treat the Lyme and all will be well, only to find that is not really the case. Because of course, CHRONIC Lyme can be notoriously difficult to treat, just like ME/CFS/Fibro – the connection seems clear – it is rooted in the immune dysfunction. There are many infections this world throws at us, many of which history has shown even to be lethal, even in the masses. The question I always ask, WHY do some people survive and thrive and others not? The answer inevitably has to do with health as opposed to disease! Whilst eastern medicine has long recognised this, the difference between health and disease is something which many people in the west unfortunately still don’t seem to understand (frankly I was one of them until I learned what I shared in CFS Unravelled). But change is happening and modern medicine is evolving and integrative medicine is changing how we treat many illnesses. My view is this – CHRONIC Lyme disease is a result of poor immune dysfunction, often part of ME/CFS/Fibromyalgia. Hence it is a consequence of illness more than a cause of it. Yes, it causes much dysfunction and symptoms and needs to be addressed, but as a consequence of ME/CFS/Fibromyalgia. Like I always say “treat the cause, not just the consequences”. What do you think? What is your experience of recovery from Chronic Lyme Disease? Thanks for the reply, and I respect your opinion too :). Il send you a private message with some links. Its not scientifically confirmed through clinical studies its just what many Lyme/CFS doctors are publically and privately saying (including my own doctor) based on results they are finding with the CFS patients they tests for Lyme and treat for Lyme etc . (When I say Lyme I also includes the Lyme co-infections like Babesia, Bartonella, Rickettesia and parasites ). Similar to what some others have already said: it’s probable that Lyme and neuroimmune disregulation propagate and amplify each other. On the bright side, many protocols address both (e.g. LDN, dietary changes, light exercise, capsaicin and turmeric). Other protocols might address one but aggravate the other (e.g. prolonged antibiotic treatment). People’s budgets and patience also vary greatly. What a tangled knot it is! Hi Sean – well, you are talking about primarily physical treatments, but a nervous system dysfunction in my view is best addressed directly. That’s what you see with stroke victims and so on, they don’t take pills, they retrain the brain! Hopefully the explanation videos vs will make sense to you. Hi Patricia – thanks for your comment. I don’t have the figures on people with CFS without Fibro, the whole distinction doesn’t make much sense to me. It’s the same illness and more and more Doctors are seeing that now as they experience the commonalities – the pain is really just another symptom! In other words, I am not sure I would bother drawing the line, except that if the patient feels the pain is a problem, then it should be addressed as part of the recovery program (after medical investigatiosn to rule out anything else)! Whilst I normally feel it is always helpful to learn more about what is going one, the fact that such a diagnosis oftne distracts people from the root problem at hand and that the diagnosis is often questionable, makes the whole Lyme issue very unhelpful! I have been trying to work out whether I have chronic Lyme or M.E. I became ill 18 years ago after visiting Florida and have become increasingly more ill since with no treatment except thyroid support. My symptoms get a lot worse around full and new moon when the Lyme bacteria are meant to reproduce, which leads me to think I have Lyme disease. The symptoms are very similar in both conditions. It’s important to be thoroughly investigated regarding the reasons for the illness and not to self-diagnose, because many illness produce many of the symptoms of ME/CFS/FMS. Not sure if I managed to convey my views well enough for you in this article – basically I am saying that Lyme disease is something that you get treated with and recover over a reasonable period of time, ‘chronic’ Lyme is lyme with ME/CFS/FMS. Thank you Dan. I have had tests to rule out some causes but unfortunately cannot afford to test for Lyme and co-infections so self diagnosis and treatment is my best hope. My symptoms are that of chronic Lyme. What type of doctor treats ME/CFS due to chronic Lyme? Can you recommend someone in NYC? I did antibiotic treatment. I’m better but totally listless most days, for most of the day. Hi Sonia – it’s my view that it is chronic lyme is due to ME/CFS – not the other way around – the subtlety can be important for recovery!. I cannot recommend a Dr in NYC, but recommend that you seek an integrative MD to help you along. It is my view that along with the physical treatment, that brain training to address the root mechanism perpetuating the illness is also very important. You might like to check out the ANS REWIRE intro videos to understand how this works in more detail. Having Lyme certainly complicates recovery from CFS, not least of which due to the stubborn infection and symptoms it causes. 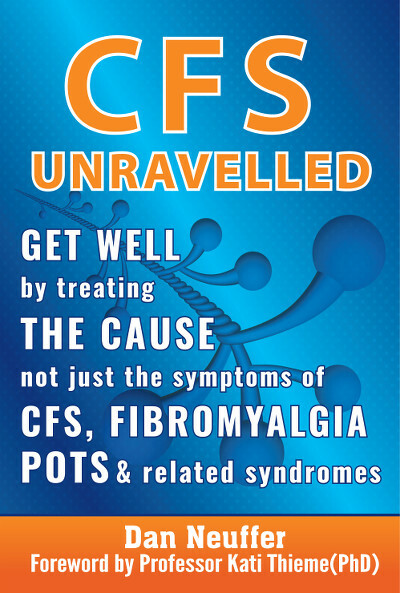 Indeed there is no ‘cure’ from CFS, however, people do recover through a process that is tailored and by addressing the root mechanism of the illness rather than only treating symptoms. In my view, we need to both treat the root cause as well as secondary dysfunctions and infections. Because there isn’t a ‘silver bullet cure’ for ME/CFS/Fibromyalgia and chronic Lyme, people often think that means it’s permanent, which of course is an experience that many people have and resign themselves to. But yes, recovery is definitely possible for chronic Lyme also, and I have seen people do so with and without the use of anti-biotics. The key in my view, is to get a proper diagnosis of Lyme, and if it is present to treat it effectively with the right antibiotics under the guidance of an expert. I guess most people would wonder, did the anti-biotics work for you, did symptoms reduce and did you have a follow up tests that confirmed the LYme infection was gone? I got ill 11 years ago, I use to walk a lot in Sussex , but I have tried to find out where to get a blood test , I know it’s called western blot ,I don’t mind paying but there there is no info available even on Lyme disease website ..I wanted to do this and an amalgam test for elimination purposes. Hi George – well I agree with the multi-lateral appoach to healing, but would be mindful about beliefs about the immune systme not being able to tackle this. Obviously, it isn’t likely to suddenly turn around without action, the key is to have an action plan like I describe in CFS Unravelled. But it’s also KEY to focus on the root mechanism, not just trying to heal the body. Because unless the root mechanism is corrected, the immune dysfunction and other problems simply won’t resolve long term. Thank you very much for your comment! 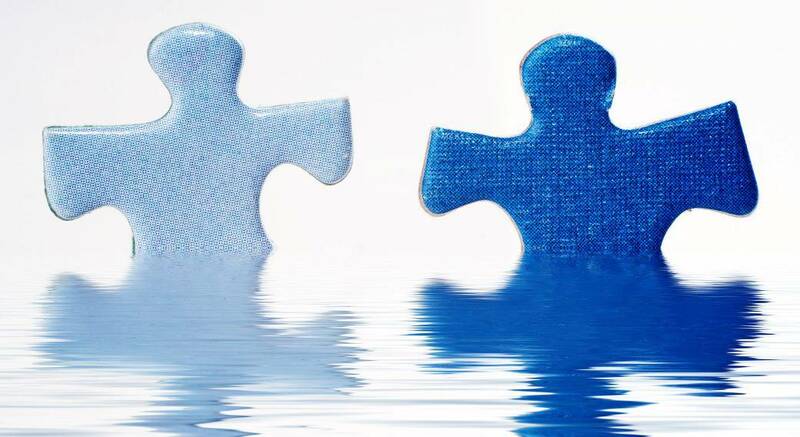 Thanks Jay – the Lyme aspect makes the whole ME/CFS/FMS story even more complex. And besides the whole misdiagnosis issue, where people shoud really focus on their true illness, some people will actually have Lyme (diagnosed or not). But how this is treated needs to be so carefully considered, as some treatments can do more harm than good. In the end, like so many other infections and dysfunctions, it can be a real distraction as you put, keeping people from focussing on the root cause!